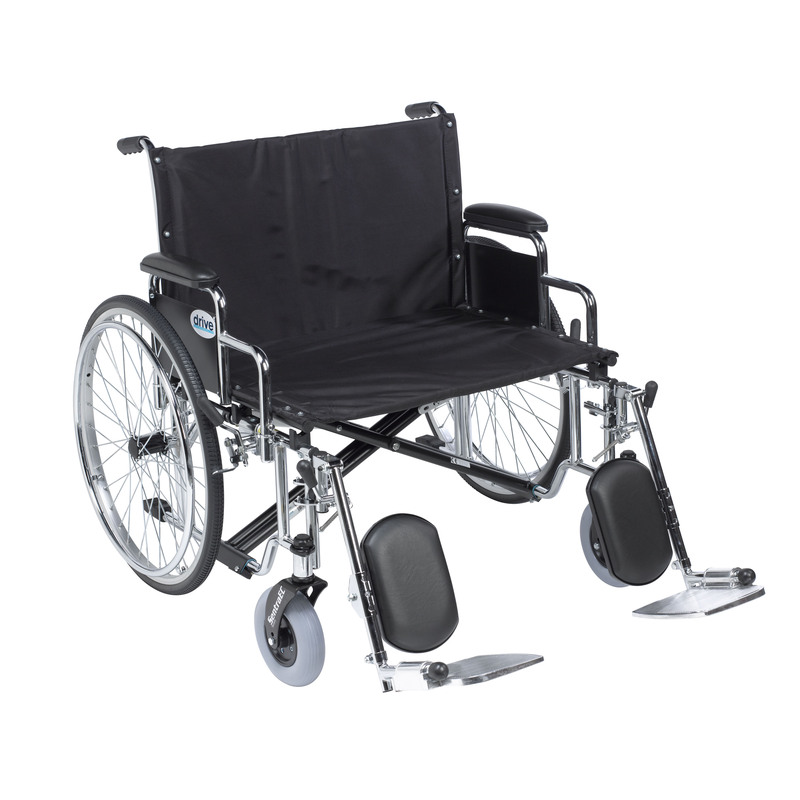 Sentra EC Heavy Duty Extra Wide Wheelchair | Mountain Aire Medical Supply, Inc. The Sentra EC Extra Wide Heavy Duty Wheelchair from Drive Medical boasts a 700 pound weight capacity, made possible through the use of reinforced steel gussets, reinforced nylon upholstery, reinforced side frame, extra heavy duty front forks and casters, and dual cross bars. The stylish triple chrome coated steel frame and steel spoke wheels add a touch of elegance to this bariatric wheelchair. This Sentra EC Extra Wide Heavy Duty Wheelchair comes with detachable desk arms, elevating leg rests and a 26" wide seat.